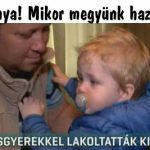 “DEVIZAHITELEK”-A FIDESZ RÁRONTOTT A MAGYAR CSALÁDOKRA. 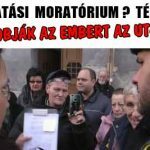 JÖNNEK AZ ÉRTESÍTÉSEK – 100 EZER EMBER KERÜLHET UTCÁRA. KILAKOLTATÁSI MORATÓRIUM? TÉNYLEG ??? ÍGY DOBJÁK AZ EMBERT AZ UTCÁRA! A KORMÁNY MEGOLDJA – KÉT KISGYEREKKEL LAKOLTATTÁK KI A CSALÁDOT. 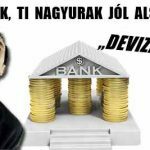 „DEVIZAHITEL”-TI URAK, TI NAGYURAK JÓL ALSZOTOK?